Is olive oil Whole30 compliant? Are you doing a Whole30 this January? 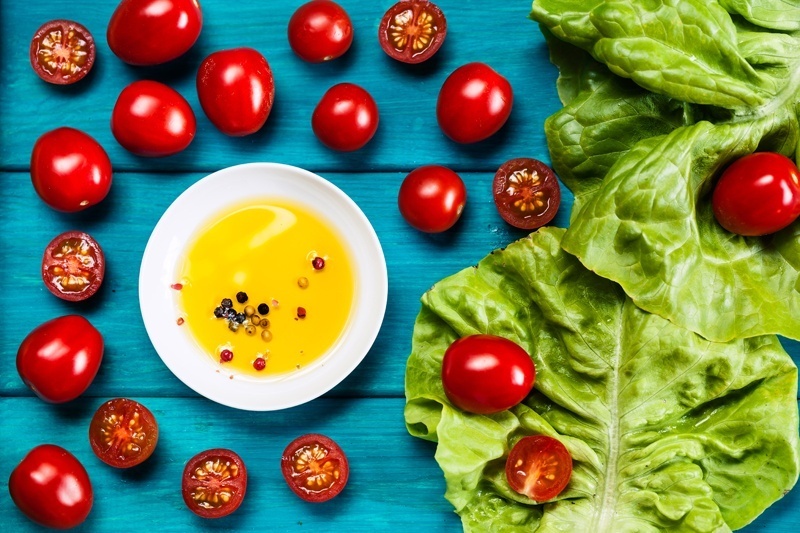 Find out how olive oil fits into the Whole30. The Whole30 is an eating program started by Melissa and Dallas Hartwig. The idea is to "reset" your system by eating non-processed whole foods and ditching grains, dairy, and sugar for 30 days. Fans swear by the positive impact Whole30 has on reducing inflammation and increasing energy. The authors of the Whole30 encourage their readers to reject seed oils in general. Seed oils such as soybean, peanut, canola, corn, and grapeseed are off-limits during the Whole30. Extra virgin olive oil is approved and Whole30 compliant. Regular olive oil (aka pure olive oil) and light tasting oil are also approved by the authors. While on the Whole30 plan, you should avoid most packaged salad dressings and mayonnaise. Most of these products are made with seed oils and are not compliant. Here are two recipes to replace store bought mayo and salad dressing. When making mayonnaise, we recommend using light tasting olive oil. Extra virgin olive oil has a stronger flavor that is delicious, but does not resemble store bought mayo. Place the egg, mustard, lemon juice, and salt in a blender, or food processor. Mix thoroughly. While the food processor or blender is running, drizzle in the olive oil. Drizzle the olive oil in very, very slowly. This is the key to thick mayonnaise. Blend the mayonnaise until it reaches the desired consistency. Use immediately, or pour it into a clean jar and store it in the refrigerator for one to two days. Balsamic vinegar is also Whole30 compliant. This vinaigrette is not only good for salads, you can use it as a sauce for meats or steamed veggies. Simply combine the ingredients in a jar or small food storage container and shake! You can also make this dressing in the blender. You can modify this recipe by adding fresh or dried herbs, minced garlic or onion powder. Do not add sweeteners such as sugar or honey in order to stay within the Whole30 rules! Store in the refrigerator for up to 1 week. Shake well before using.